Laire MacLeod's father has married a mysterious widow who is a vain beauty that deals with potions and spells. Laire does not drink them with the rest of her family and is the only one who could see through her stepmother's games. 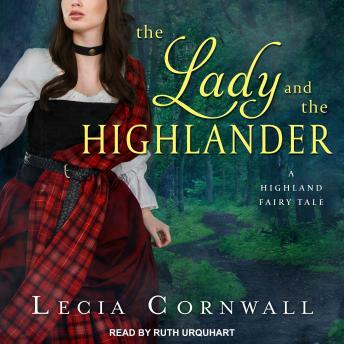 When Laire flees to find help from her uncle, the Lady's huntsman follows her with orders to kill. Laire must survive in a dangerous new city and find the antidote to a poisonous potion before it is too late. Iain Lindsay is cursed. He is bound for seven years to be the hunter of a Lady who uses him to bring back birds to use in her potions. When Laire MacLeod escapes the Lady's nets, Iain tracks her to Edinburgh, where she's found shelter with an unusual band of thieves, but he cannot bring himself to harm her. Instead, he finds himself falling in love with the MacLeod beauty. But a Highlander's oath is his bond, and the price for helping her is death-both his own, and of those he loves.